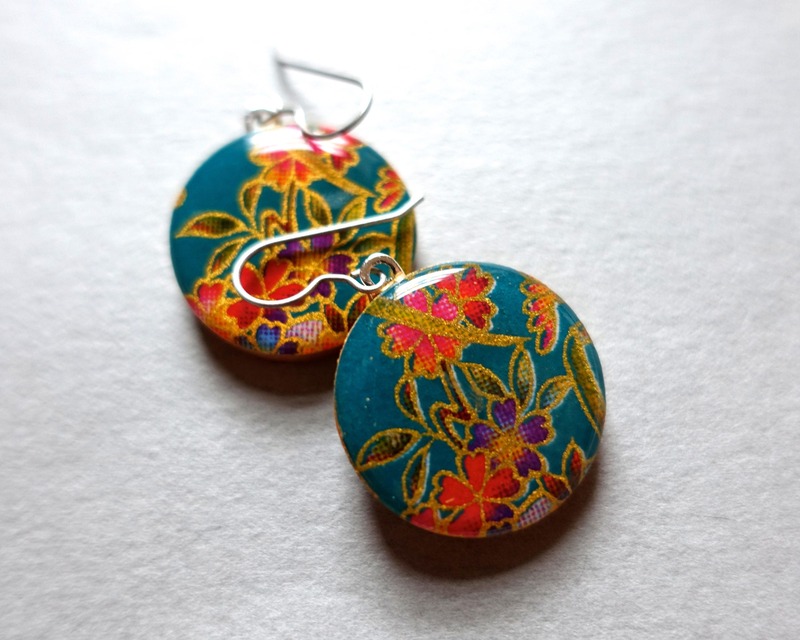 Turquoise earrings with a flower design and gold accents, made from Japanese chiyogami paper on wood circles. Coated in resin. Super lightweight! 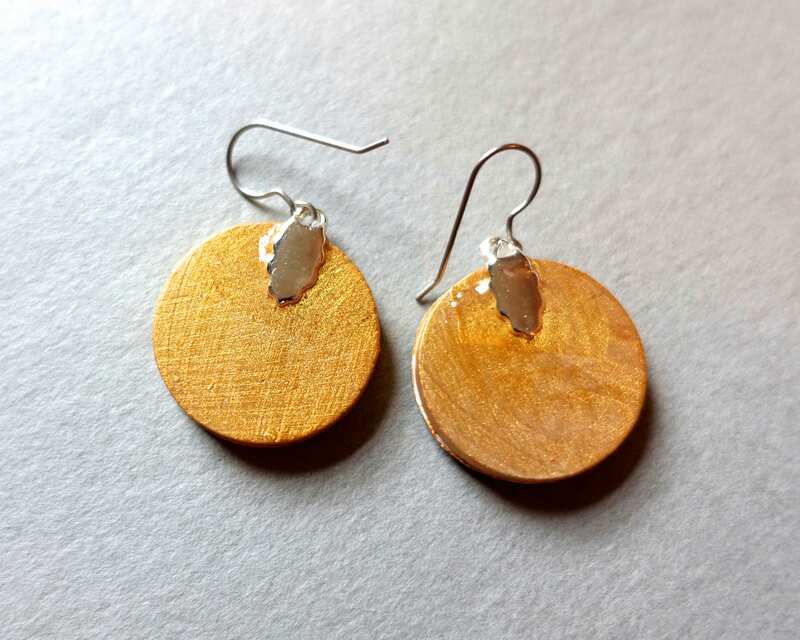 Circles measure 1 inch. 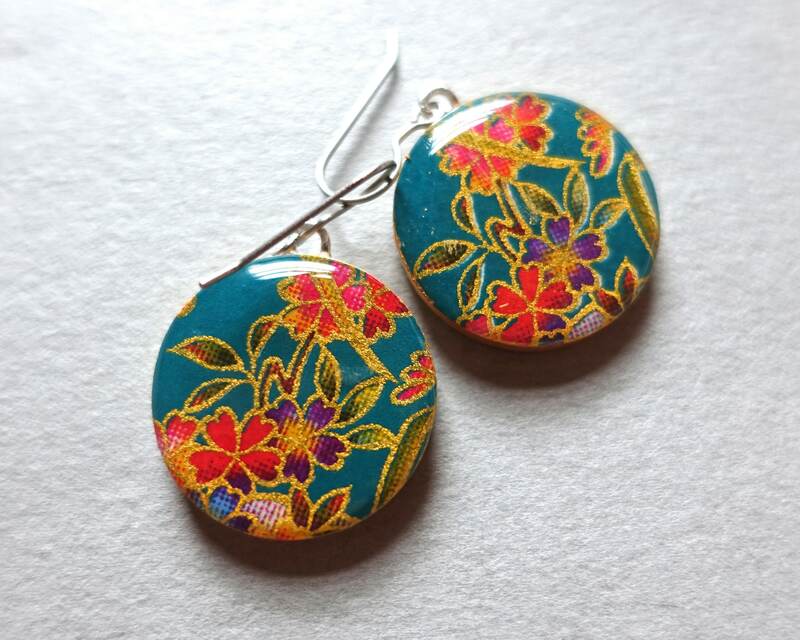 Back and sides of earrings are painted gold. Water-resistant.